1. Preheat the broiler 370 degree F.
2. In a dish blend cereal, walnut, cinnamon, nutmeg, sugar, and margarine. Put aside. 3. Spread the cut apple uniformly in the 9-inch pie skillet. 4. Sprinkle the water uniformly over the apple. 5. Spread the cereal blend equitably over apple. 6. Put the pie plate over the inside rack of broiler. 7. Give it a chance to heat for 20 minutes. 8. Take it out from stove. 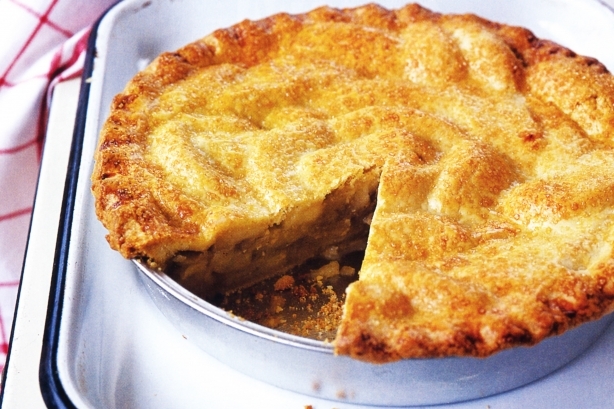 Tilt the pie plate a little and utilize a spoon to move a percentage of the squeezed apple; put it over pie uniformly. 9. Put the pie plate again back in stove and heat for 10 more minutes. 10. Serve hot. Tastes incredible finished with scoop of vanilla dessert!